The world’s leading trade fair for the medical industry MEDICA 2016 will be held from November 14th through 17th, 2016 in Düsseldorf, Germany. 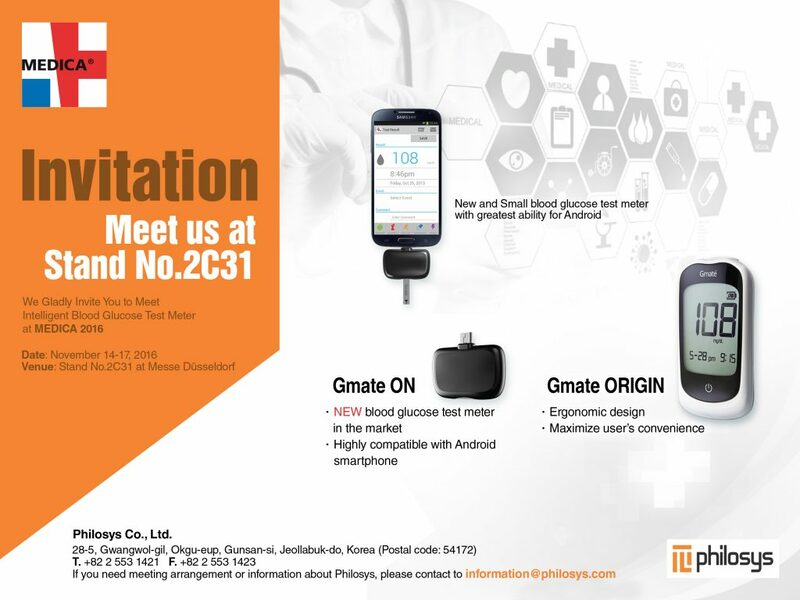 Philosys will be participating in MEDICA 2016 with the new blood glucose monitoring system, Gmate® On and Gmate® Origin in our booth. We invite you to experience diabetes management to a whole new level at MEDICA 2016.